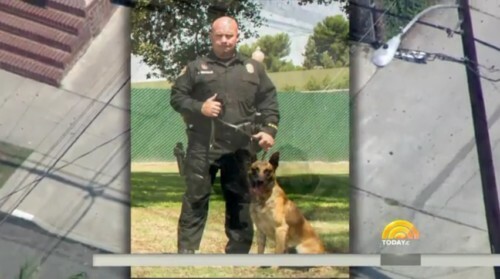 A California police officer has had to say a gut-wrenching goodbye to his beloved K-9 partner. Officer Curtis Chancellor of the Chula Vista Police Department was captured in a touching photo saying an emotional farewell to Griffen, a 7-year old Belgian Malinois who had to be euthanized on March 24 due to “an unfortunate medical condition,” according to the department. The scene with Chancellor and Griffen is the latest example of the tight bond between law enforcement and their K-9 partners. Another California police officer had tears streaming down his face during a ceremony in 2016 for his K-9 dog, who was killed in a standoff with an armed man. 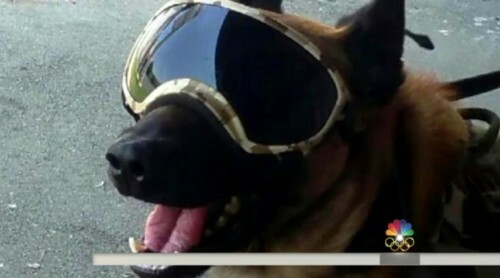 That same year, an Ohio community raised thousands of dollars to buy bulletproof vests for dogs in honor of a K-9 that died in a shootout. “Anyone who’s ever had to go through that with a pet, they can visualize it and feel it. It tugs at the heartstrings,” Thunberg said. Griffen partnered with Chancellor in patrolling the streets, often working through the night. The dog also made numerous appearances at community events. Chancellor was the second handler who partnered with Griffen and worked alongside the dog for nearly seven years. “All the letters and messages on social media have been so supportive, and it’s very nice to hear that people out there are thinking and praying for Griffen,” Chula Vista Lt. Eric Thunberg told TODAY.